'There's only so many times you can fall down, right?' Bonnie (Chloë Sevigny) tells young Charley (Charlie Plummer), as she recounts the twists and turns of her hard-knock life. It's one of many such conversations; the adults here have been saddled with more than their fair share of tragedy and Charley's childhood, too, has comprised one setback after another. Adapting Willy Vlautin's novel, the brilliant British director Andrew Haigh (Weekend, 45 Years) heads Stateside to tell the story of a boy coming of age in circumstances of heartbreaking hardship and instability. Raised by a loving but irresponsible father (Travis Fimmel), Charley's mother abandoned him as an infant and he later lost contact with a more conventionally nurturing aunt (Alison Elliott). Nevertheless, the 15-year-old is energetic and resourceful; although him and his father are new to Portland, Charley secures work at the local racetrack with ease – his boyish face and unassuming manner make him easy to trust. There he helps crabby horse trainer Del (Steve Buscemi) care for his dwindling stock of animals, meeting jockey Bonnie and building up affection for a near-knackered quarter horse called Lean on Pete. It's not a film that has any truck with stereotypes or quick fixes, or one that's interested in giving its audience an easy ride. Mentors come and go and fail to live up to our hopes, authorities neglect to intervene. 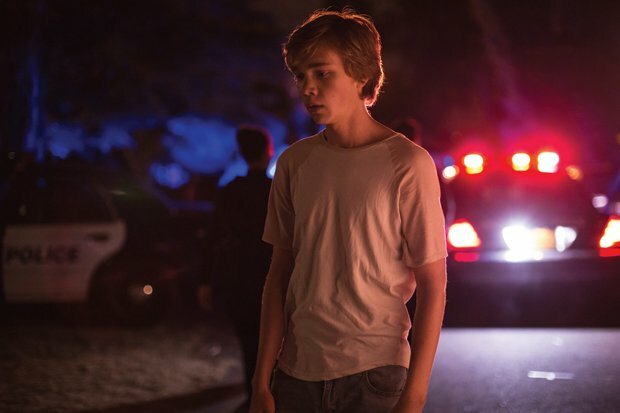 Lean on Pete is rich with realities; it shows how people can be both kind and chaotic, how a kid can fall through the cracks, and how someone can spiral out of control after a succession of misfortune. What should be desperately hard-going is rendered anything but by Haigh's delicate directorial style, an approach complemented by Plummer's appealingly understated performance. As Lean on Pete opens up into a road movie, it appears more ambitious than Haigh's domestic dramas, yet the move away from intimate investigation means his fourth film is ultimately less affecting and focused. The scenes where Charley walks alone with a stolen Pete, to whom he bares his soul, might lack the intricacy of the adult interactions, however Charley's pain seems eased by the mere presence of his equine companion. It's a beautiful illustration of why the simple love between man and beast matters, particularly when human relationships do nothing but disappoint. Screened as part of the London Film Festival 2017. General release from Fri 4 May. Teenage Charley (Plummer) goes to work for grizzled horse trainer Del (Buscemi) and befriends the titular horse, before going on the road in search of his aunt. Haigh’s delicate directorial style makes a desperately sad coming-of-age tale very watchable, helped by Plummer’s appealingly understated performance.